Arteluna bath furniture is made in New England from solid walnut veneer over walnut hardwood. 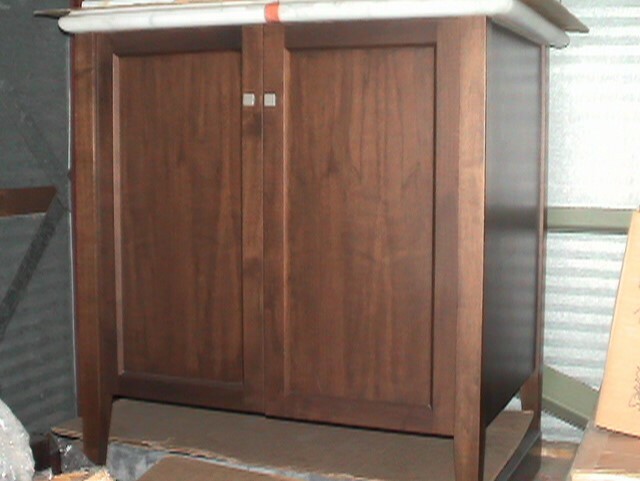 This floor cabinet is part of a 3 piece suite including Exton vanity and Exton mirrored medicine cabinet. Solid Stained Walnut Veneer over Walnut hardwood.